The V28 Mill Turn Training Professor Video Series is a complete training solution designed to help you master your CAD-CAM for CNC mill turn / multitask machine programming. 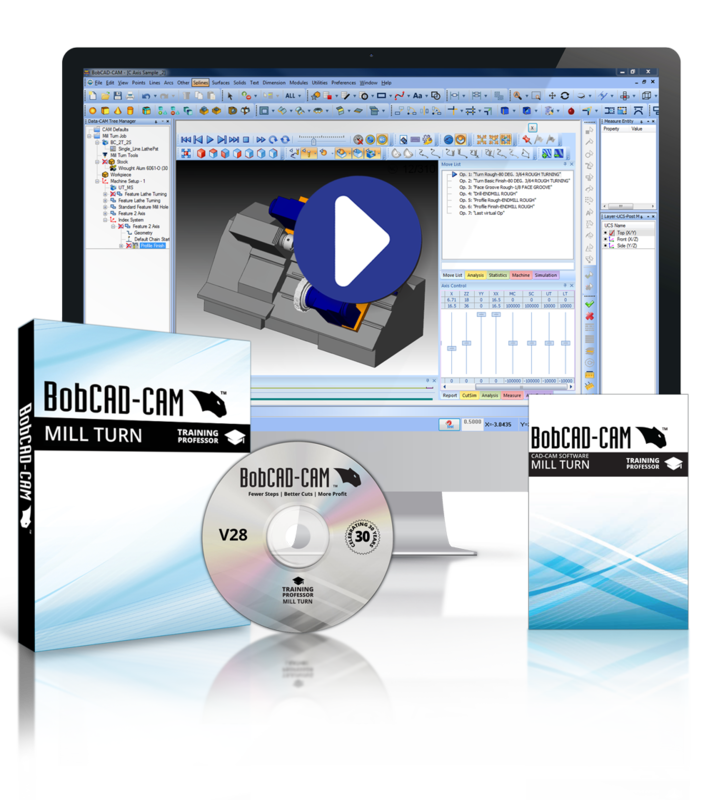 This learn at your own pace video series covers all of the time saving tools and advanced machining functionality within the BobCAD-CAM software for mill turn machining. The detailed digital workbook guides you step-by-step through each lesson and includes a library of pre-made CAD files that correspond to the workbook tutorials. Lessons are self-contained and portable so you’re able to learn what you want, when you want, where you want. This product is designed for advanced CAD-CAM users with a strong working knowledge of the CAD, Mill, Lathe, and Multiaxis software. Call for details.